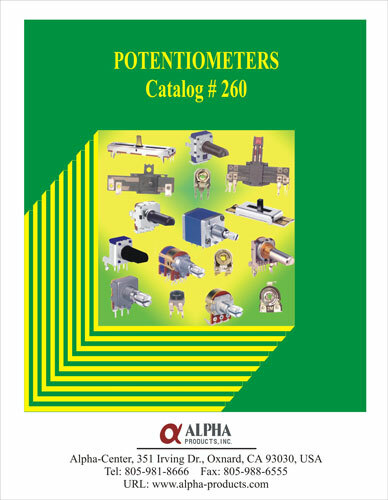 Welcome to the world of Potentiometers, Encoders, Trimmers and other custom resistance products and Knobs. Since 1978 we have serviced the needs of major OEM’s worldwide with standard & customized products. Hopefully you will be able to find a product that meets your needs. If not please be sure to send us your requirements by clicking on the “Send Your Specs” tab. Our experienced Design Engineers stand ready to help all OEM customers. Most Potentiometers have a 1000 pc minimum order and shipment quantity requirement.